Planet Earth is the third planet from the Sun. It is uniquely suited for plant and animal life. About 70% of our planet is covered with water. The continents and islands make up the remaining 30% that lies above sea level. Scientists study the Earth's interior using earthquake waves. The lithosphere of our planet includes both the crust and the upper mantle. 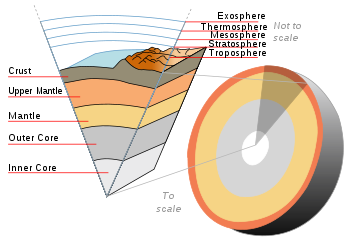 The boundary between the Earth's crust and the Earth's mantle is named the Moho boundary and is where the speed of earthquake waves change their velocity. The asthenosphere normally lies below the lithosphere. The rocks in this part of the mantle flow like a liquid and can break apart. The lithosphere is above the asthenosphere and includes the crust and part of the upper mantle. Scientists in the last century discovered our planet's tectonic plate boundaries using earthquake wave patterns. Iceland sets on top of two plates that are separating. The Iceland volcanoes frequently erupt because they are also sitting over a hot spot. The Earth's is surrounded by gases that form our atmosphere. When solar energy from the Sun hits our poles people living near the north pole are able to view the northern lights. Air movement around our planet affects many parts of our life. Polar air flows down from the north pole creating the polar front. Warm air from the Caribbean meets the polar front air causing turbulent air that can create tornadoes in the great plains area of the United States. Lithosphere Find out if you know the two types of crusts that make up this layer of the Earth and which one is younger? What are Northern Lights? Find out how the solar wind powered, by great storms on the Sun, create the Northern Lights. 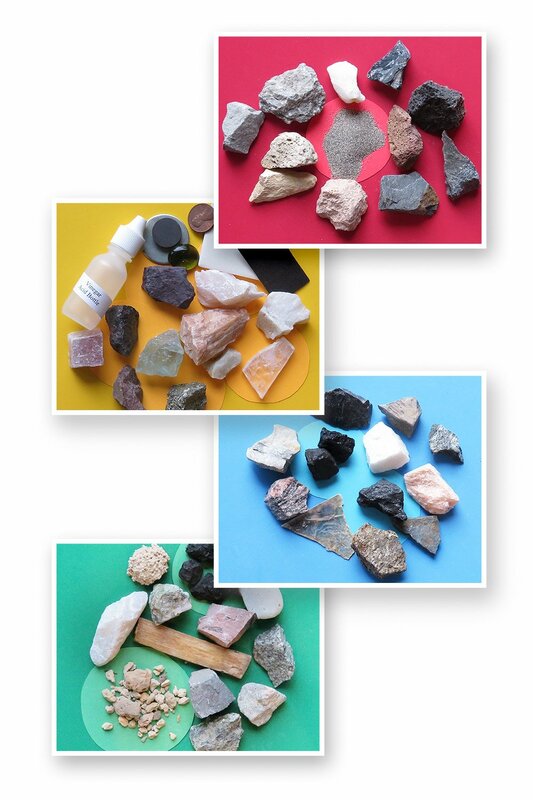 Asthenosphere Find out why scientists say the rocks in the asthenosphere has properties like silly putty. Polar Front Find out what happens when a cold air mass from the poles meets a warm tropical air mass! Horse Latitudes Find out where the Horse Latitudes are located and how they got their unusual name. 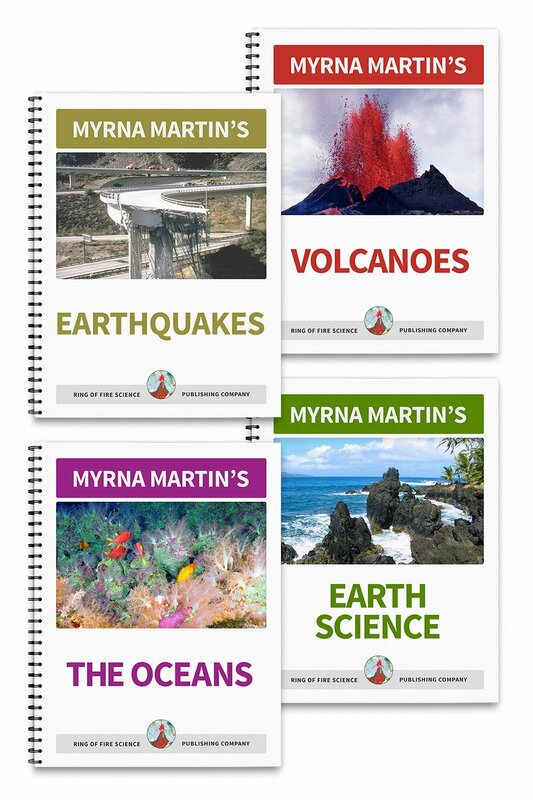 Earths Crust Do you know where the youngest crust on our planet is located and how it forms? Earths Interior Our planet is made up of many layers and scientists working as detectives are uncovering its secrets. The Earths Mantle Is the mantle molten rock or solid rock? Find out what we know about this large layer of the Earth. Iceland Volcanoes Did you know volcanoes in Iceland formed because of the Mid Atlantic Ridge and a hot spot? Tectonic Plate Boundaries Find out about the major types of crustal plates and the boundaries around them. Earths Atmosphere Find out which layer meteors burn up, where the International Space station is located and more. 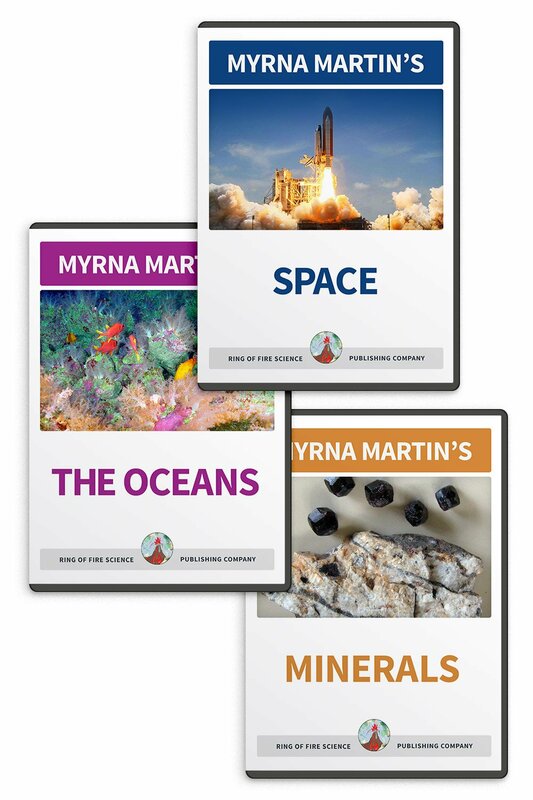 Planet Earth Find out about our planet from the Earth's core to the outer reaches of our atmosphere.